Here you can read several instructional articles written by professional windsurfing instructors. These articles are categorized by skill set into (1) Novice, (2) Intermediate. 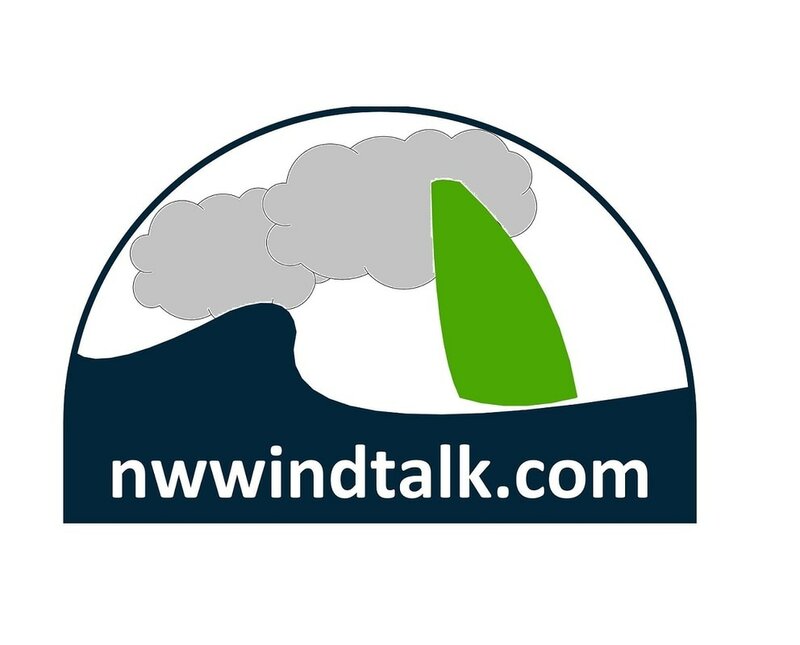 If you are new to windsurfing articles in the Novice section would best apply to you. However, the articles in the Intermediate group would show you what to expect next. In windsurfing, there is always something new to learn. This makes windsurfing a challenging sport, but it also means windsurfing is a sport for life. Note: The following articles are provided for reference only and are not intended to substitute for professional group or one-on-one instruction. Also, there is not a standardized way to categorize skill levels, so different instructors or schools may teach some of the skills at a different skill level from that suggested in this website. Position the board 90 degrees (perpendicular) to the wind direction, the sail on the leeward side of the board, mast 90 degrees to the board. You will be on the windward side of the board, with the wind to your back (see video) wind speed 3mph-10mph. Be sure you are in about waist deep calm water. Mount the board by grabbing the mast to pull yourself up on the board, check for mast at 90 degrees. Place knees on the center line either side of the mast base. Grab the nearest part (bottom) of the uphaul rope. Lean back and put tension on the uphaul rope. This action starts your stance which you will continue through the uphaul process. Now rise to your feet, placing feet where your knees were, shoulder width apart, knees slightly bent, hips in, back straight head up (not looking down). The uphaul rope should be elastic like a bungee cord. Keep tension on the uphaul rope for balance. With your stance locked in SLOWLY pull on the uphaul rope, hand over hand keeping the mast at 90 degrees to the board. Shift your weight forward or backward to maintaining the mast at 90 degrees. As you pull the sail up use heel and toe pressure as needed to keep the board flat in the water. The mast will rise out of the water and the board may turn to windward or leeward. Just focus on keeping the mast at 90 degrees. Don’t let the mast tilt right or left. Try not to lean over at the waist…THIS IS IMPORTANT! Keep your stance (knees slightly bent, hips in, back straight, head up) If you bend over forward the sail drops back into the water, you may need to move your feet to compensate for the board tipping and will need to start over setting your stance. Once the mast is within reach, SLOWLY bring it closer to comfortably (1) grab the uphaul rope 6” from the mast or (2) grab the mast with both hands just BELOW the boom. Either hand placement is fine. If the wind is a bit high the hand on mast works well for stability, in light winds the rope method is good. Keep your elbows slightly bent to act as shock absorbers should there be wind gusts. Plan on always having wind gusts! YOU DID IT…YOUR FIRST UPHAUL!!!!! YOU ARE NOW IN THE BASIC POSITION!!! With the sail in the proper position you should be balanced between the pull of the sail, leaning back with knees slightly bent, hips in, back straight, and head up ready for the next move I call mast steering. The beginner board choice is really important to ensure a successful first time FUN experience! You’ve all heard the bad time stories that prevented any more interest in our great sport for the student. Every time I teach an interested student who tried windsurfing in the past, they tell me about their first time…. usually a major challenge (disaster). The memory never goes away!!! Pick a big floaty board: Minimum displacement is usually a function of body weight, but a board with at least 200 ltrs of displacement is suggested for an averagely weighted individual. Trim your board to learn: Top deck markings should be easily recognizable on the water. IE center line area, mast base position and foot placement area. Foot straps should not be installed yet...they just get in the way of foot placement. Let’s start with sail infrastructure. The mast should be light weight. Nowadays, most masts use a mix of glass and carbon fibers in an epoxy resins. Usually, an higher content of carbon will result in a lighter mast. Masts with 40-60% carbon content provides a good price point. In the 90s, polyester resin + glass fibers (P+G) and aluminum (AL) masts were common, so these masts are easy to find in garage sales, but AL masts are easy to break due to corrosion and P+G masts are very heavy. The boom should be small, adjustable, without harness lines, and have good grip padding. Booms are available in aluminum and carbon. Again, used aluminum boom should be inspected for any sign of corrosion to avoid a breakage in the water. Your sail choice is critical depending on conditions. Generally we always teach beginners with small sails. Adult learners would begin with a sail between 3.5 and 5.0 square meters as anything larger can cause problems in gusts. Youth would begin with a sail between 1.5 and 3.0 square meters. The sail should be light weight, have no batons or one or two batons near the top of the sail. This allows for a forgiving sail form which helps with control and reaction timing of light wind power. The taller and heavier the sailor the larger the sail, the smaller and lighter the sailor the smaller the sail. Ask your instructor for the perfect beginning sail for you. That’s it…now you’re ready to hit the water with your instructor. You most likely have a ton of questions…good!!! Please email the group for instruction advices, or ask the person (instructor) who will be helping you on the beach. Windsurfing is a sport of many, many variables, thus the challenge. Remember there is always someone to help you. We’ve all been a beginner at one time. Also remember………. Attitude is Everything!